The 2018-19 NBA regular season draws closer to an end and many questions remain unanswered. Wednesday night in Sacramento, the Boston Celtics will challenge the Sacramento Kings. The Celtics are a team that has left many NBA observers with a myriad of questions. 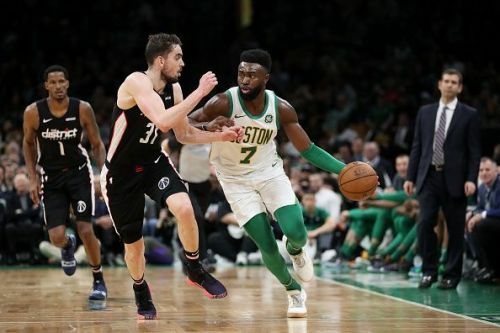 After pushing the LeBron James-led Cleveland Cavaliers to a 7 game Eastern Conference Series in 2018, without their two main stars Kyrie Irving and Gordon Hayward, everyone believed the Celtics were to be the class of the NBA’s Eastern Conference in 2019. This has not been the case. Kyrie Irving has been great in returning to the team after knee surgery that kept him out of the 2018 playoffs. While Gordon Hayward has played and stayed healthy this season, Hayward's actual play has been below his usual standards and his presence in the Celtic’s line-up may be stunting the growth of Jayson Tatum. It's hard to imagine adding talents like Irving and Hayward would cause any NBA team to stunt its progress but it is what has happened. This season currently, the Celtics sit 5th, 10 games back of the Milwaukee Bucks in the East. The Celtics’ opponent the Sacramento Kings find themselves 9th in the Western Conference. The Kings have much less pressure and scrutiny on their performance. However, the Kings are actually a team that have an exciting young roster on the rise. In fact, if the San Antonio Spurs and Los Angeles Clippers struggle down the final stretch of the season, the Kings are only 3 games back of the Spurs for the final playoff spot and 3.5 games back of the Clippers who are 7th in the West. De'Aaron Fox is a very good young point guard who leads the Kings attack and he is supplemented by sharp-shooting scorer Buddy Hield. With no one really expecting anything of them, the Kings might have an outside shot to make the playoffs this year. Even if they don’t, their future is bright when you add Marvin Bagley III to the Kings’ attack. Bagley, the Kings 1st round pick in 2018 is currently out with a sprained left knee. The Kings are coming off of a 115-108 victory over the New York Knicks Monday night. Head coach Brad Stevens has settled on Kyrie Irving and Marcus Smart as the starting guards. Al Horford will be the starting at center with Jayson Tatum and Marcus Morris Sr. joining him in the front-court at the forward spots. The Kings will be missing Marcus Bagley III due to a strained left knee and he may be out of their line-up for up to another 9 days or so. 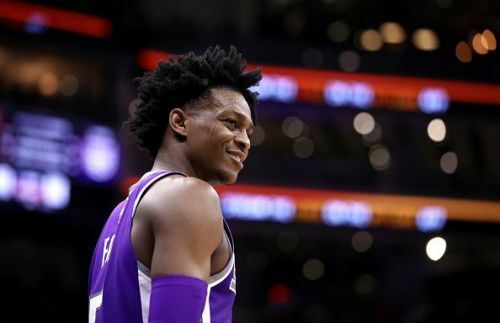 Kings head coach Dave Joerger will most likely start Buddy Hield and DeAaron Fox as his guards and Willie Cauley-Stein at center along with Bogdan Bogdanovic and Harrison Barnes as his forwards. The Boston Celtics score 112 points per game and allow opponents 106.8. One major reason the Celtics are not playing to everyone’s expectation is that they do not dominate opponents when they play on the road. The Celtics are only 14-16 on the road this season and have only scored an average of 102.6 points per game in their last 3 road losses to the Raptors, Bucks, and Bulls. This is nearly 10 points below their average. Also in those last three road losses, the Celtics have allowed their opponents 114 points. In comparison, the Sacramento Kings are 20-13 at home on the season. 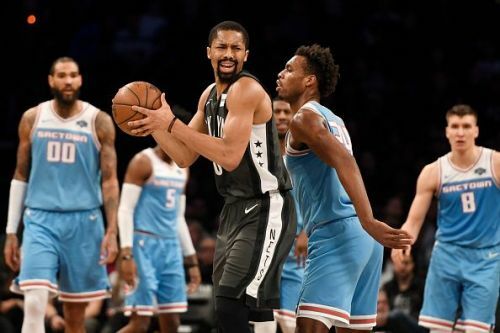 In their last three home games (two were losses to the Bucks and Clippers both teams in playoff positions) the Kings have averaged 121.3 points per game. 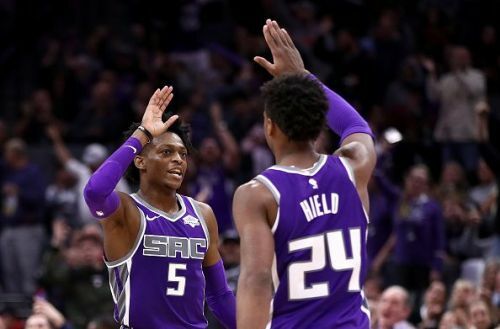 The Kings have no pressure or expectations of winning weighing them down and they are an exciting team averaging 22 fast break points per game at home. One can expect the Kings to try and run the Celtics exhausted in this game. The Celtics will have also played the Warriors Tuesday night while the Kings should be rested having last played Monday against the Knicks. The Celtics only average 14.3 fast break points per game on the road. One can expect the Celtics to try and play at a slower tempo in the back end of a back to back set of games. Both of these teams move the ball exceptionally well and the Celtics at 26.1 assists per game are ranked 8th and the Kings are 9th in the NBA with 25.6 assists per game. Irving leads the Celtics with 6.9 assists per game while De’Aaron Fox leads the Kings with 7.2 assists per game. One major difference between these two point guards that could help explain some of Boston’s troubles is that Fox averages 13.5 field goal attempts per game while Irving takes 18. In other words, while Irving is on the floor he is not just the guy running the offense, he is the primary scoring option. This means he has the ball in his hand often. In a league where ball movement and every position player on the floor shoots, as good as Irving is, his style of play maybe stagnating the Celtics' offensive productivity overall. As a prediction, expect the young Sacramento Kings to play spoiler and make the Celtics somewhat disappointing season even more so by winning this game by single digits. The Celtics should be tired having played the defending NBA Champions Tuesday night and may emotionally expend more energy fighting for a victory in Oakland than they will in Sacramento.